We’re giving you the night off! Grant St Grocer is proud to offer a great range of quality take home food options for you to enjoy. Our take home meals offer convenience without sacrificing flavour, quality or nutrition. For time poor professionals, busy families and the older generation, our restaurant quality, home-cooked meals are the perfect dinner solution. 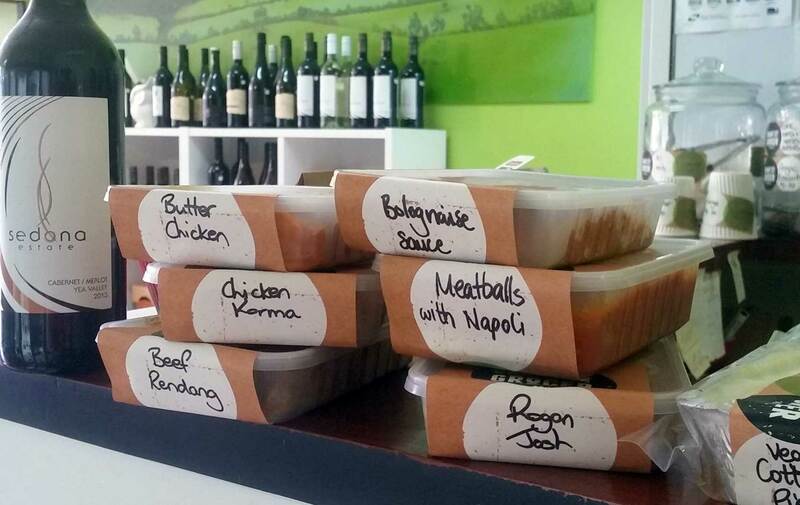 We offer a wide variety of French, Italian and Indian take home meals, available fresh or frozen for you to heat and eat. Ensure your elderly parents are having healthy dinners by keeping their freezer stocked with Grant St Grocer meals. And instead of going for greasy take-away, grab a family size Grant St dinner and enjoy a night off! Rogan Josh, Butter Chicken, Beef Rendang, Goat Curry, Kashmiri Lamb, Chicken Korma, Pork Vindaloo, Beef Goulash, Chicken Fricasse, Channa Dhal, Pumpkin & Coconut Curry, Veal Blanquette, Vegetarian Cottage Pie, Potato Gnocchi, Spanish Chicken, Spicy Chicken and Bolognaise Sauce.